Seth P. Robert has extensive courtroom experience, both through representing clients and from the other side of the bench as a law clerk for two years for the Honorable Arthur D. Spatt, United States District Judge for the Eastern District of New York. Mr. Robert followed his clerkship by practicing as a litigation attorney at the Manhattan law firm of Graubard Mollen and Miller from 1994 to 1999, where he handled multi-million dollar commercial disputes. 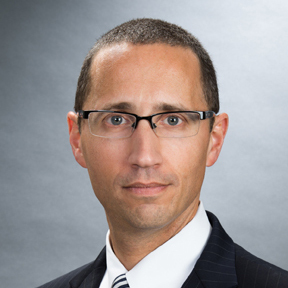 Since he began practicing in Florida in 1999 he has represented clients in matters pending in numerous Federal and State Courts, both at Brown Robert, LLP and as a shareholder in the litigation department of Gunster Yoakley, a large Florida firm, prior to the formation of Brown Robert, LLP with Mr. Brown in 2002. In addition to conventional trial work including jury trials, Mr. Robert has handled major commercial arbitrations before the American Arbitration Association (“AAA”) and the Financial Industry Regulatory Authority (“FINRA”). His practice focuses on complex and technical litigation, including matters involving intellectual property rights, securities, and business disputes. In addition to being admitted in Florida, New York and New Jersey, Mr. Robert has handled major cases pro hac vice in both state and federal courts located in other states. Mr. Robert is an Eagle Scout and Scoutmaster of Boy Scout Troop 337. Note, Post Milkovich Defamation Law: Are We Still Entitled To Our Opinion?, 65 St. John’s Law Review 1105 (Autumn 1991); Uncivil Conduct in Depositions; Committee on Professionalism in Litigation, 2 N.Y. Litigator 29 (New York State Bar Association – November 1996); Guidelines for the Compensation of Fact Witnesses, Committee on Professionalism in Litigation, 5 N.Y. Litigator 19 (New York State Bar Association – Summer 1999).